This is the last of Wright’s Oak Park houses, in which Wright provided a superb summation of his first modern style, marking the end of his Prairie or Oak Park period. Later Wright designs would continue to recall his Oak Park manner, but none would again be so typical a Prairie-style house. Its longitudinal plan with, from left to right, porte cochere, porch, living room, hall and dining room, allowed Wright to display all of the horizontal forms which he had evolved during his Oak Park years: a concrete base course, terrace wall on the left corresponding to the flower box under the three-part dining room window on the right, lower hip roof, continuous string course, casement windows, and main hip roof with its wide eaves. 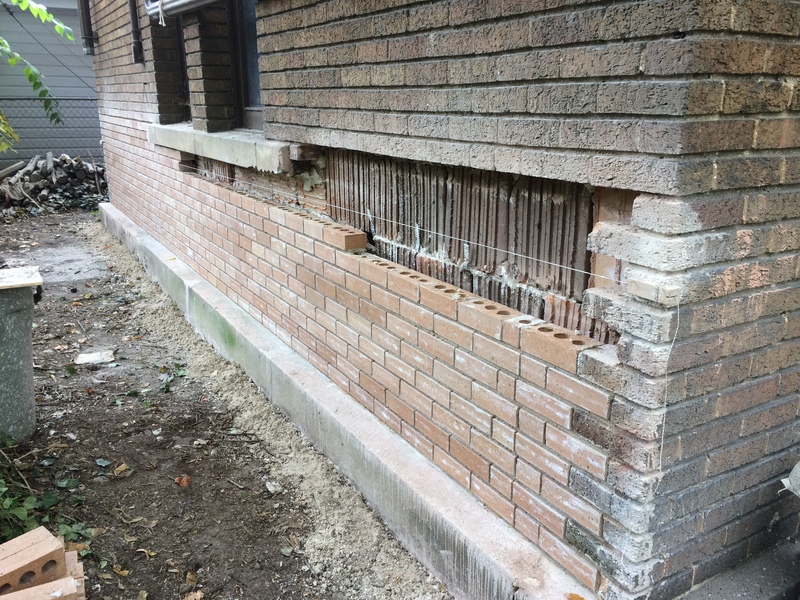 But, the concrete sill at the south veranda wall was cracked. 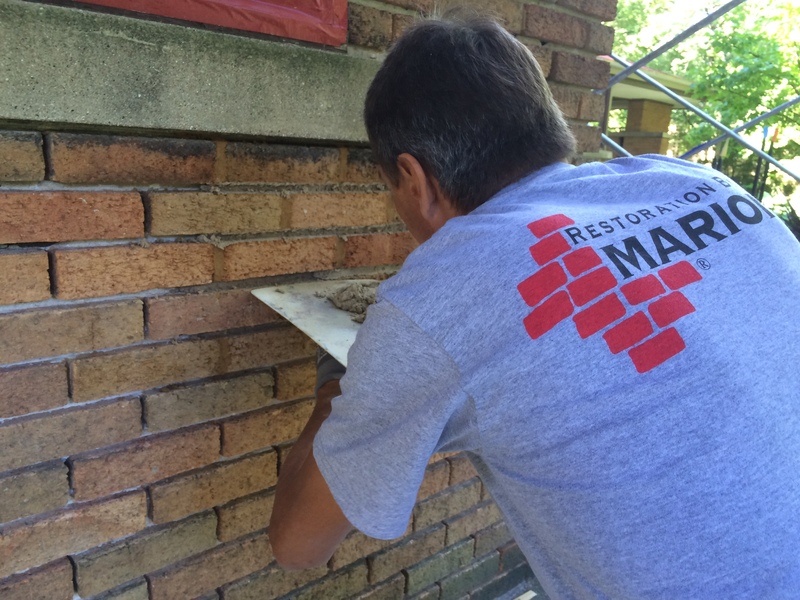 Marion Restoration Company has repaired a step crack with project mortar as it was previously repaired with a non-matching mortar. 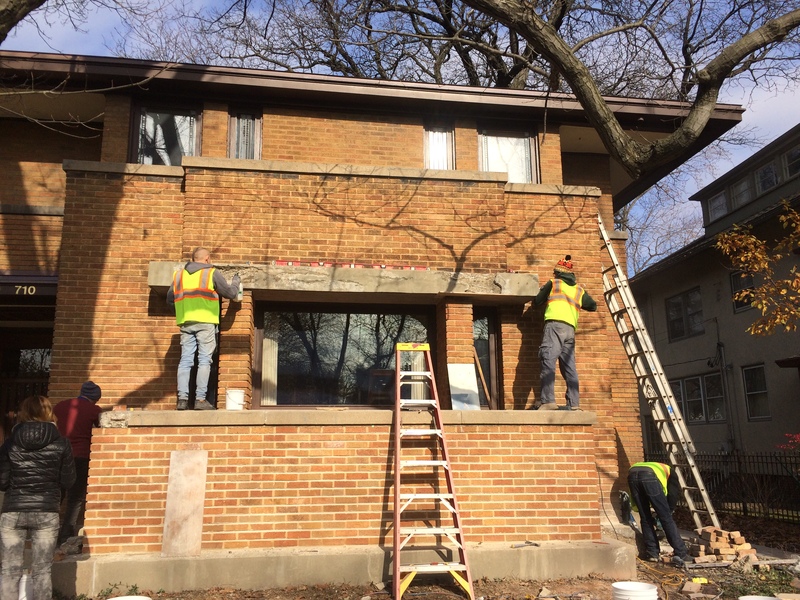 The concrete was failing at a previous patch repair at the second floor planter coping, west end. The previous patching material did not match the aggregate or finish of the concrete. Concrete coping has been repaired using matching patch material more in keeping with the historic concrete’s appearance and performance. 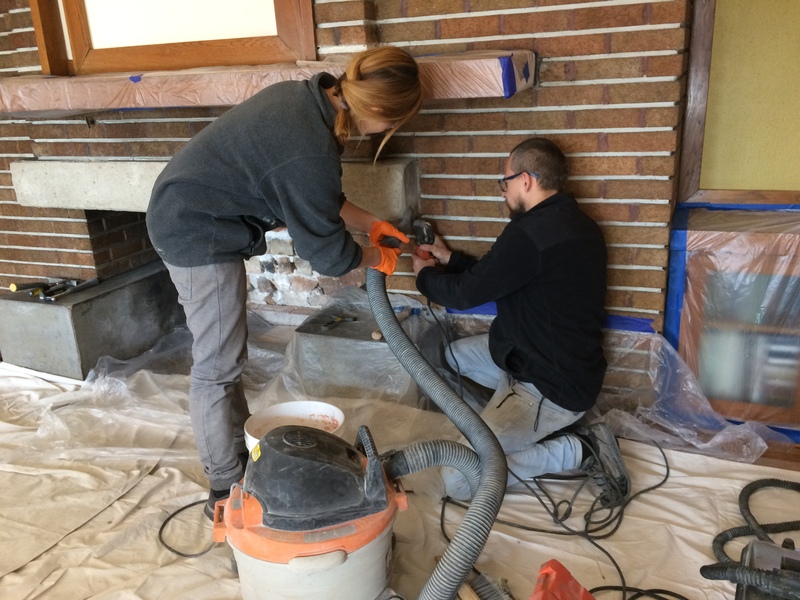 Also, we restored a fireplace inside of the house.